Hi-res Size: 5616 x 3744 px. 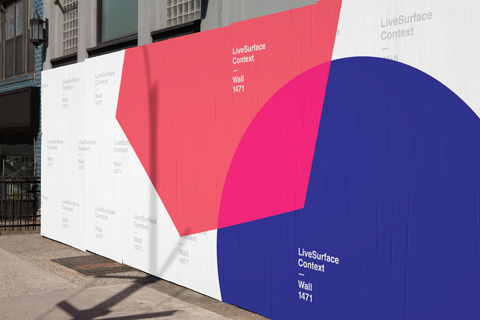 Professionally built surfaces from the LiveSurface Content Team. Wall 1471 with Example Artwork. Work in the real world, with Context. Use the design tools you already know to create stunning photorealistic onscreen mockups with a click. Context links with Illustrator to allow you to see your concepts realized side-by-side, while you work. Context is free to download and use in demo mode. For hi-res watermark-free access, take advantage of launch pricing and activate inside Context to unlock the entire Surface Store at a flat monthly (or yearly) rate.